This is the first time and I feel like to write my personal review of a hotel on my page not because it was the best one I stayed but no doubt it was certainly the most effective one I have experienced along my long travel life. 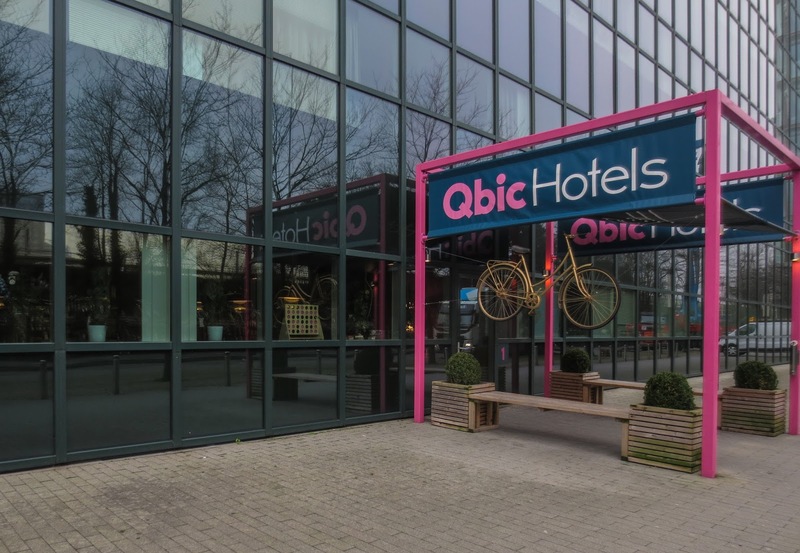 As usual I booked Qbic Hotel WTC in Amsterdam through Booking.com. At that moment it seemed having extremely satisfactory quality price index and that was quite enough to proceed with the reservation. The hotel was located in the Zuid area of Amsterdam which meant 2.5 km far from the Centre of the city (Amsterdam Centraal). 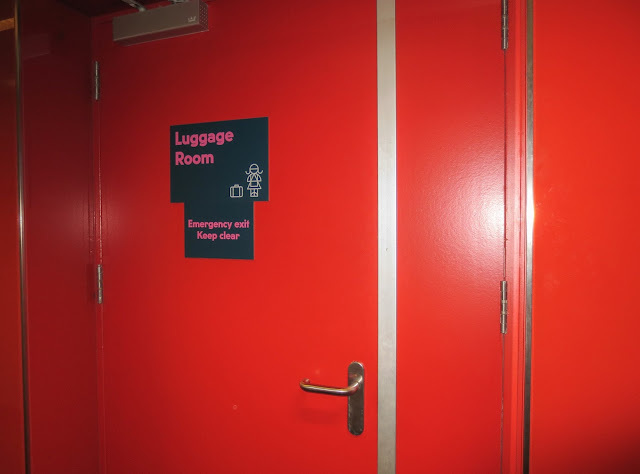 We were traveling by train and there were both subway and busses running frequently from the main railway station to the Zuid area and this made the Centre easily accessible. Upon arrival to the hotel we entered the huge hall which seemed a relaxing area. So many guests were sitting there chatting, navigating, reading, drinking tea and etcetera etcetera. The staff was delightful and informative; couldn't have been more accommodating; they offered us a welcome drink, tea of coffee as we desired and after checking in we were left free. 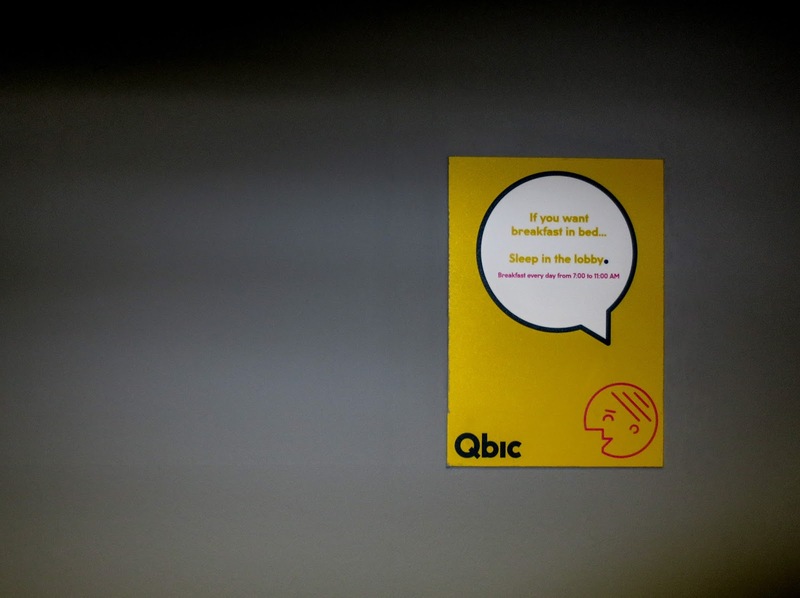 Our room was modern, simple and comfortable, there was a wall full of stickers with quotes and photos, the colorful lights (we could choose the color) above the bed were really funny; the room was designed to create that particular atmosphere of Amsterdam. After having settled down our things we planned to visit the Amsterdam Centraal. Obviously the staff at the reception, a girl with a Tunisian roots, helped us with everything including the seasonal two days bus/subway tickets. She was so knoeledgeable about everything. She issued the tickets at the reception itself. Before we were going to be gone out again, she informed us that the hall area was open 24 hours with free tea, coffee, fruits and water at any time. Drinks (no alcohol) and snacks machines were located there as well so even in the middle of the night guests could purchase. There were also three apple brand computers available for customers. Nothing was missing; everything was studied for the clients’ need and the staff them-self took care perfectly this original imprinting. Knowing already that the public transports were running only until 1 am we came back to the hotel earlier that day and we spent some time in the hall with others and played a bit with the colorful lights above our beds before falling asleep. I don’t want to forget to write that we were at the ground floor and it was a bit cold in our room but when I asked the boy at the reception he increased the temperature through the hotel automation system and he brought us a small heater in case of further need. Breakfast was not included in the rate we have chosen but that was not a big issue because tea, coffee and fruits were free, that was well fine with us. Yes, everything was so perfect except one thing: the toilet which was modernly furnished didn’t have a door and that was really weird. It wouldn’t have been a problem if travelling alone but we were two people so, one had to leave the room in order to allow the other one to use the bathroom. 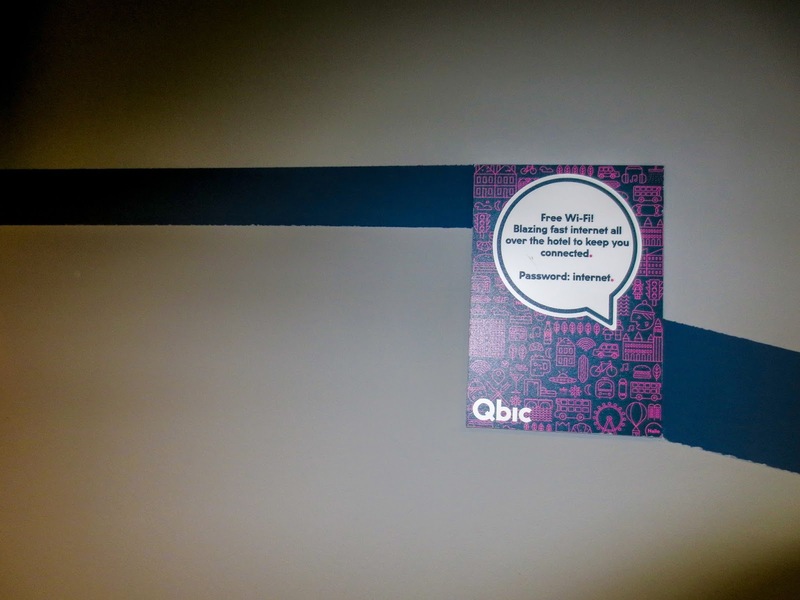 That was the only negative point of Qbic Hotel WTC of Amsterdam. That wouldn’t certainly be underestimated in case wanting to take it easy and prefering a bit more privacy. They had extra bathrooms in every floor but it was not like having our personal one. I heard that they might be putting the doors in some rooms in the next future and for me once it is done it will become an absolute winner. 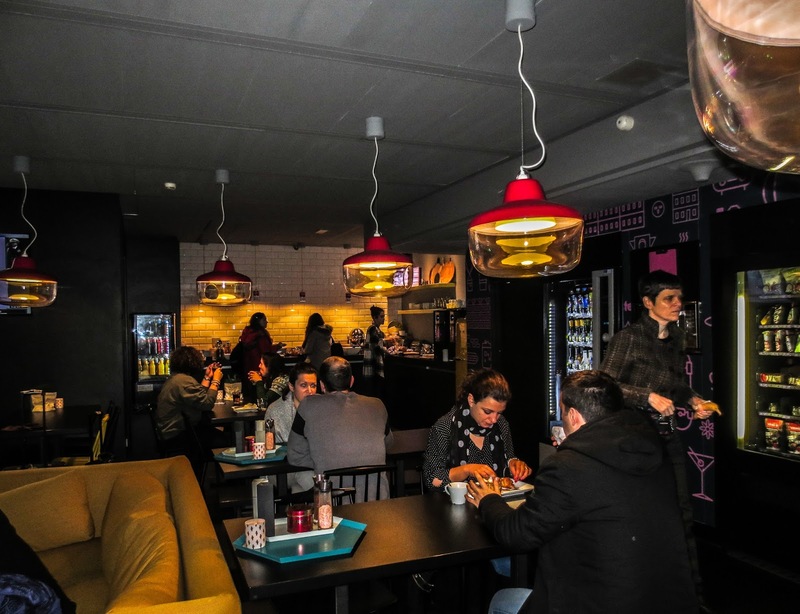 Meanwhile, if you are a solo traveler then don't wait for; this is a right place for you, here you can meet interesting people from all around the globe. The key for socialization is certainly their strong weapon. See more photos of this hotel on Booking.com. Wow, this Hotel is really great! But knowing the toilet which was modernly furnished didn’t have a door seemed like really weird. I have not heard anything like that. But despite that weird thing, I truly find this place a great place to rest and just let my tiring body would kiss the soft bed. It is truly a comprehensive and detailed Hotel reviews, which I find it honestly written. Thank you so much for sharing this with us!